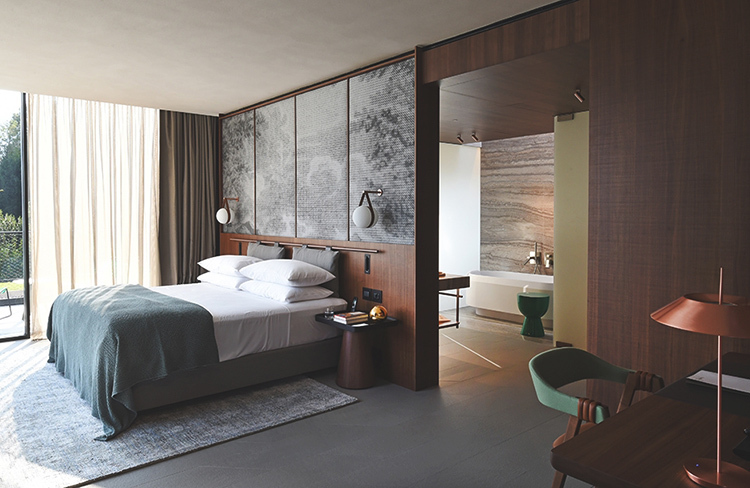 If you have only a few days to spend on Lake Como, where a minimum week’s stay is obligatory for the most sumptuous villas, a luxury hotel is the next best alternative. Of the classics, there is Grand Hotel Tremezzo, facing Bellagio in one of the finest (dual aspect) locations on the lake; or the fabled Villa d’Este at Cernobbio closer to Milan, across from the main town of Como. Both are historic traditional properties, with Villa d’Este, in particular, the epitome of grande-dame style and status. Now there is a newcomer. 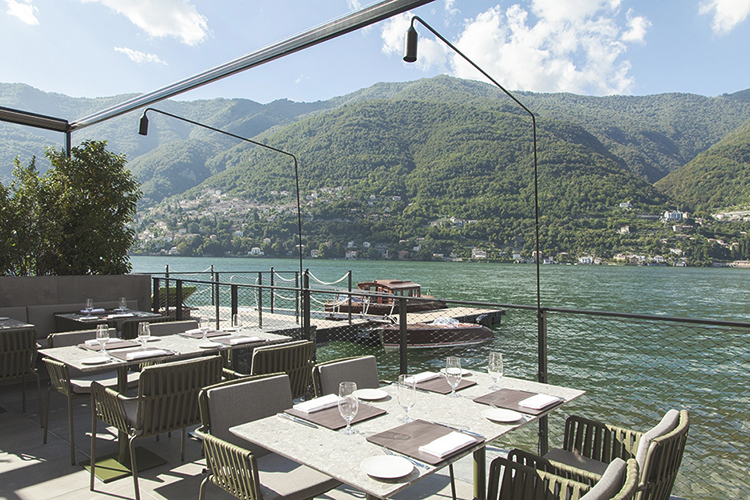 On the opposite (eastern) side of the lake to Villa d’Este, close to Como and therefore easily accessible – approximately 50 minutes by car – from Milan, Il Sereno recently opened. 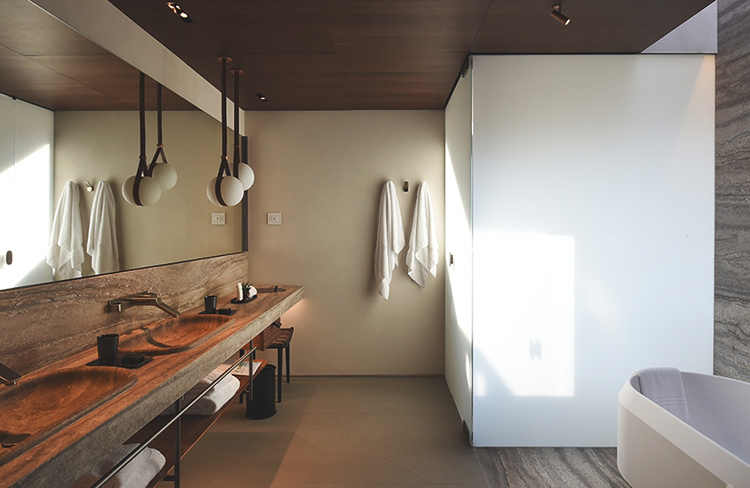 Newly built, it is designed in classic contemporary style by Patricia Urquiola. We went last week to check out the new sibling of the original Le Sereno on the Caribbean island of St Barths. Urquiola has created a warm, sophisticated style and the youthful international guest relation team provide a friendly service under the direction of GM Samy Ghachem who has moved here from St Barths. A 30-unit boutique hotel with a lovely medium-sized infinity pool at the edge of the lake attracting the sun until early evening in high summer, the overall feeling is one that combines style and relaxation. The addition of a new spa will complete the project in another month or so. There are indoor and alfresco dining options and an excellent kitchen under the direction of Head Chef Raffaele Lenzi who we know from the Armani Hotel in Milan. 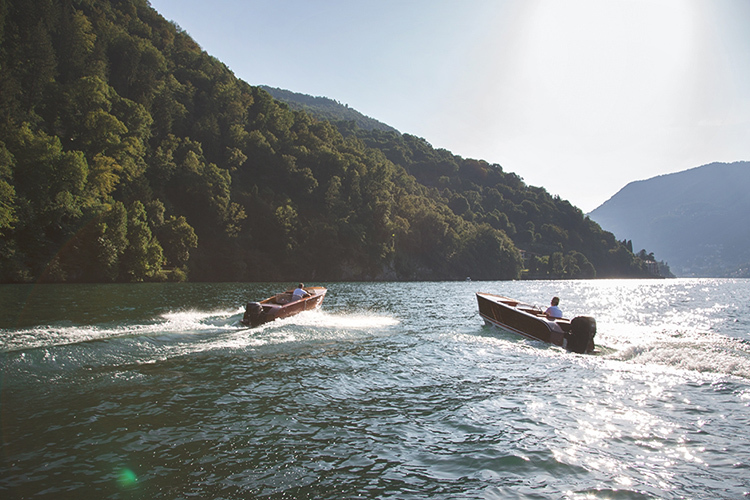 For those who love the Italian lakes and want somewhere intimate and contemporary close to Milan, Il Sereno provides a good option to the more formal lakeside hotels. Our first impression was positive, but our view is that it may be better to wait until the spa opens and then seek our advice on preferred accommodations and how best to combine a visit with other regions of Italy.